The St. Louis County Police Department will see $46 million a year for policing, while municipalities will split about $34 million. Some of St. Louis County’s mayors say money from a recently enacted sales tax increase may not make the region safer — especially because cities with high crime rates aren’t necessarily getting the most money. The half-cent sales tax, which takes effect later fall and is widely known as Proposition P, was billed as to be used on public safety. The breakdown of the money gives about $46 million a year to the St. Louis County Police Department, with roughly $34 million from the tax will be split among the county’s 89 municipalities. Because the cities’ share of the tax increase is determined by population, larger municipalities will get the most money. Take, for example, Florissant, which is the biggest city in St. Louis County and will get $2.6 million a year, according to the St. Louis County Municipal League. A smaller city, like Hillsdale, would get $73,977 annually. 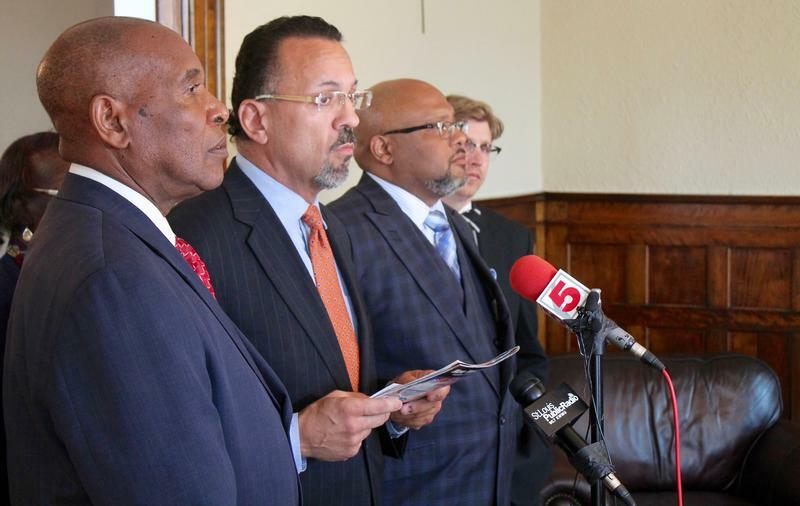 Normandy Mayor Patrick Green (center) speaks to the media during a news conference last year. Green says it doesn't make much sense to spread out Proposition P money based on population. At least nine of the year’s 23 homicides in St. Louis County occurred in northern municipalities, like as Bellefontaine Neighbors. That’s only a partial tally, because some municipalities don’t report crime data to the county police department. “I think to say ‘Let’s drop $2 million in some of these outer cities’ pockets, but they’re not experiencing any crime,’ I don’t understand how that helps us all as a collective group in the region,” Green said. 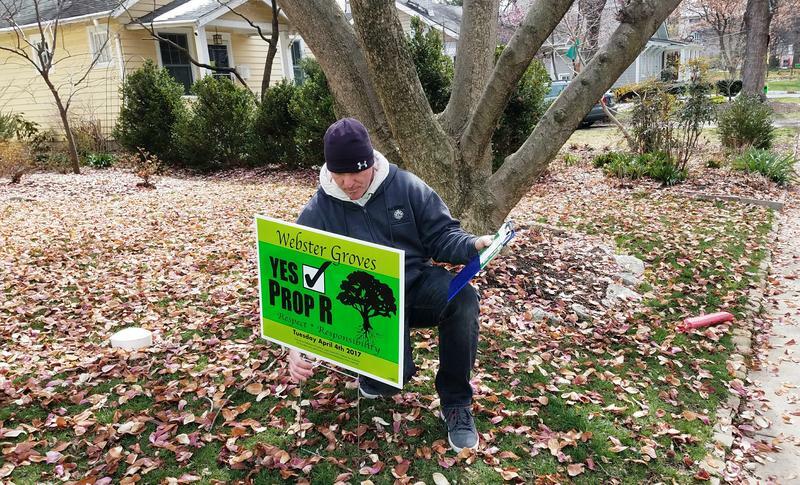 At least one mayor of a west-county municipality agrees with Green. Ellisville Mayor Adam Paul said his city will use all of its roughly $457,000 on police salaries and body camera equipment. But with that much coming in every year, he said, Ellisville may run out of things to put it toward. After all, Ellisville’s police budget before Prop P was around $500,000. Some mayors of larger communities believe they’re entitled to the share agreed on by voters, especially because more Prop P money will be generated within their borders. Creve Coeur Mayor Barry Glantz said the city plans to use that money for police officer training and raises in salaries and pensions. University City Mayor Shelley Welsch said the extra money for the county police department may benefit cities, especially because the agency patrols 15 municipalities and unincorporated communities, like Spanish Lake. Steve Ables of the St. Louis County Municipal League said, “most cities are probably pleased to have additional revenue to bolster public safety.” An exception, he said, is Chesterfield, whose mayor suggested Prop P’s language is broad enough for cities to spend money on street repairs. Chesterfield is slated to receive $2.37 million a year from the tax increase. St. Louis County will get an estimated $80 million a year for policing and public safety efforts after voters approved Proposition P on Tuesday. It’s Election Day in the St. Louis region, where voters will decide on a number of high-stakes issues. Polls are open in Missouri and Illinois from 6 a.m. to 7 p.m. Election officials in St. Louis and St. Louis County said no problems had been reported at polling stations by midday, and that turnout was light. This article first appeared in the St. Louis Beacon: Proposition P is perhaps getting the most attention for providing local funding for improvements on the Gateway Arch grounds, an unprecedented move aimed at sprucing up the St. Louis landmark. But money for the Arch is a relatively small part of the sales tax increase, slated for an April 2 vote in St. Louis and St. Louis County. 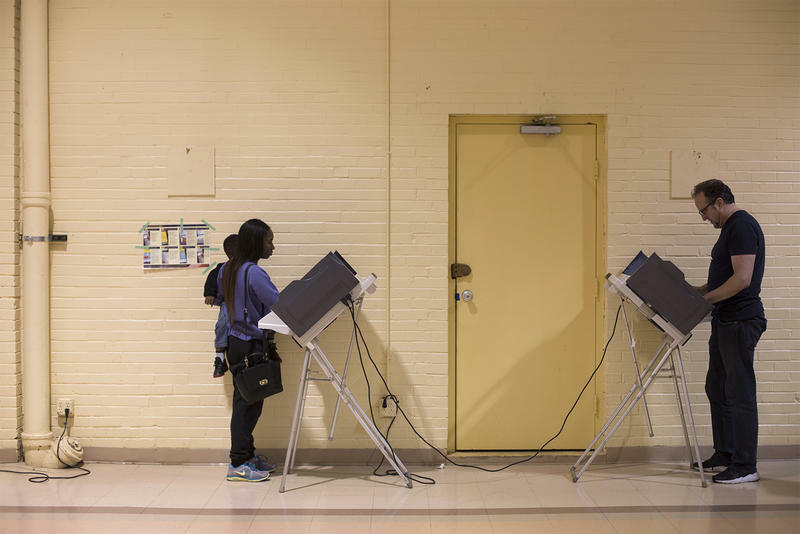 Voters in St. Louis County, various municipalities, and in St. Clair County in Illinois are being asked to open up their wallets during the April 4 election. Up for approval: a series of tax increases to boost spending on public safety. It’s pretty difficult to find two municipalities that differ more than Florissant and Glen Echo Park. Florissant is one of St. Louis County’s largest and oldest cities – and possesses a fairly sophisticated police department. The roughly 160-person strong Glen Echo Park is one of the county’s smallest municipalities with a land area consisting of a whopping 0.03 square miles. It contracts with Normandy for police service. 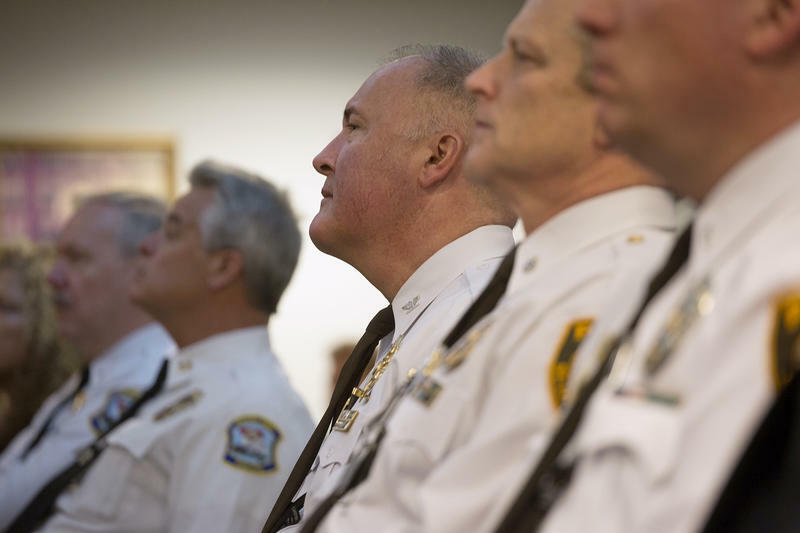 But leaders of the two cities share a commonality: They’re both strongly opposed to St. Louis County Executive Steve Stenger’s push to establish standards on municipal police departments. 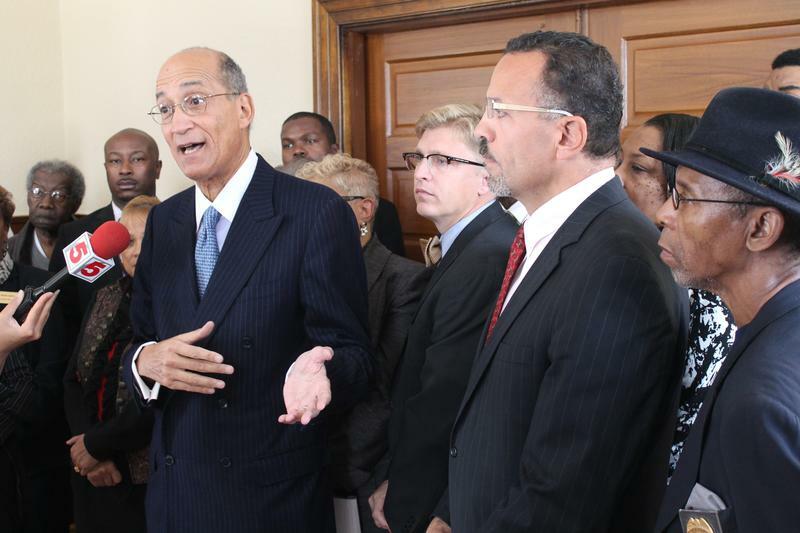 As he stood with his fellow mayors in corridor of the historic Wilson Price Hunt House, Normandy Mayor Patrick Green declined to gloat over the judicial body blow dealt to a landmark overhaul of municipal governance. Instead, Green took the opportunity to extend a hand to lawmakers who had substantially restricted the percentage of fine revenue St. Louis County cities could keep in their budgets. The truce offer, though, had a caveat: St. Louis County cities had to be treated the same as the rest of the state. Updated with decision to appeal - A Cole County judge has rejected major parts of the most significant public policy achievement in the wake of Michael Brown’s shooting death. 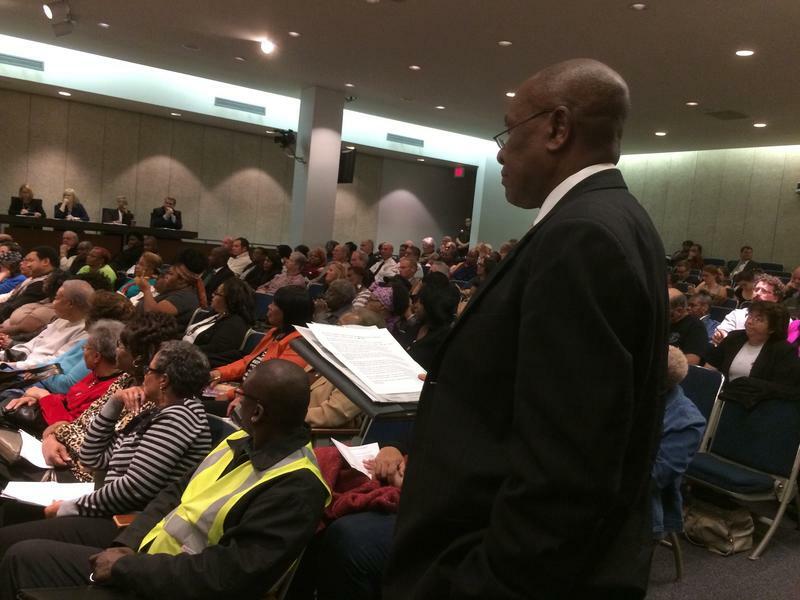 It’s a decision that serves a major victory for African-American-led St. Louis County municipalities, and likely places the future of municipal governance overhaul in the hands of the Missouri Supreme Court. This article first appeared in the St. Louis Beacon: Tempers flared at a meeting of the Ellisville City Council after an attempt to overturn former Mayor Adam Paul’s removal from office was stifled. And supporters of the former mayor expressed blistering criticism about the growing costs to the city to defend the mayor's removal from office.